Single Processor > rackspace.com, #41277, USD 499.00/mo. 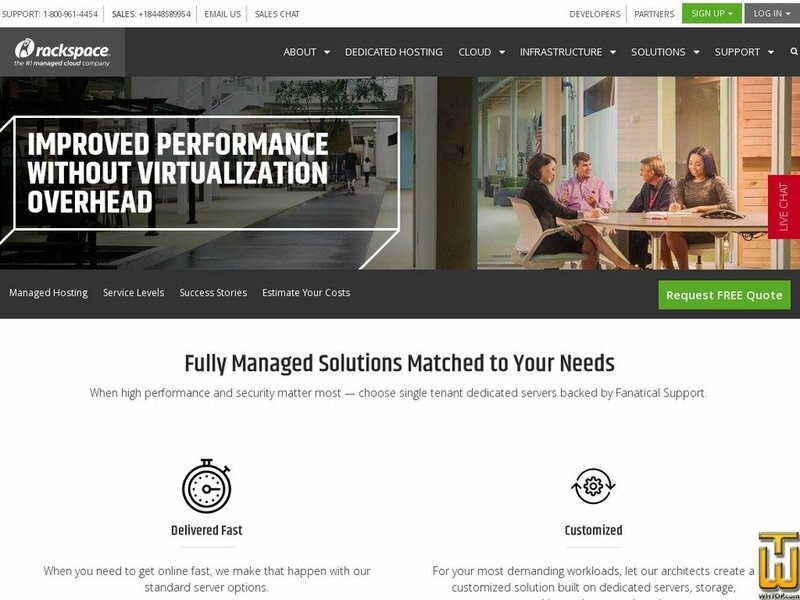 When high performance and security matter most — choose single tenant dedicated servers backed by Fanatical Support. When you need to get online fast, we make that happen with our standard server options. The unmatched performance of a bare metal server. Enhanced security with a managed dedicated hardware firewall, backup, and monitoring. A managed web application stack and proactive security patches. Our industry-leading Managed SLA, including a 100% Network Uptime guarantee. Combine dedicated servers with the private or public cloud of your choice, including AWS, Microsoft® Azure®, VMware, OpenStack or the Rackspace cloud.